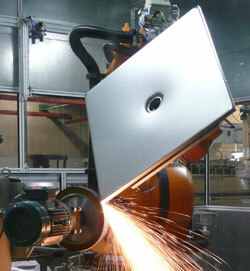 The area of surface technology is one of the focuses of the system technology. 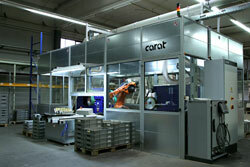 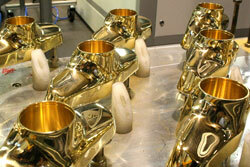 Since being founded in 1992, machines and systems are continually developing and optimised further. 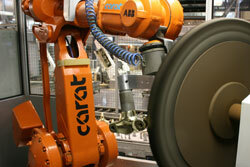 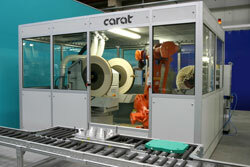 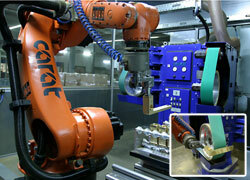 Grinding and polishing machines, gripping and tensioning systems to feed technology - carat has a comprehensive range of components and systems for designing and realising your robot system.